PROVIDED IN EVERY STATE. We are a Brick & Mortar Program Provider. A Certified and Accredited Program with Live, In-Person Classroom Style, Video Group Sessions. We are currently in our 10th year with now over 5800 probationers/parolees in our database, 4100 of which who have successfully completed and satisfied their court orders through our program. 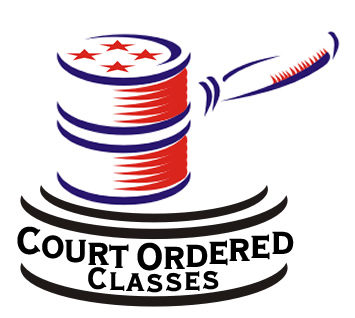 The managing staff at Court Ordered Programs has developed exceptional and technologically advanced programs that they have implemented in their “Advanced Learning System - Live Web Class” school. This is not the make believe on-line program that others offer on CD’s and word documents. This “live group meeting” adheres to and surpasses all State standards and laws regarding Domestic Violence and Batterers Intervention Programs and has since been put to use by many Children's, Family, Drug and Criminal Courts throughout the Nation.